The Proofreader and the Self-publisher: Are You a Good Fit for Each Other? My colleague Anthony Haynes recently invited me to write a guest post for his blog, Monographer. 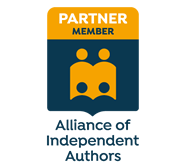 We share an interest in publishing, in particular the challenges for both the writer and editorial freelancer working in the self-publishing market. The boom in self-publishing has led to a notable increase in the number of independent authors who contact me about proofreading. The reality is that many of the manuscripts I'm offered are not ready for me – they require a different level of editorial input. This led me to create a set of introductory guidelines for new authors that aim to help them (a) to make the right decisions with regard to what kind of editorial freelancer they hire and (b) to consider some of the marketing, financial and distribution challenges that they will face on their self-publishing journeys. To read more, visit the Monographer blog: What do self-publishers need? The proofreader’s perspective. I email these to independent authors who contact me about proofreading, and they're also included on the FAQs section of my website. For the more experienced writer and self-publisher they may seem rather basic, but for the first-time novelist they provide a few ideas to help them on their publishing journey.